Hello everyone! The past 2 days I swatched Sun Kisses and I'm w/ the Lifeguard. I decided to create a gradient and do some stamping! Enjoy! 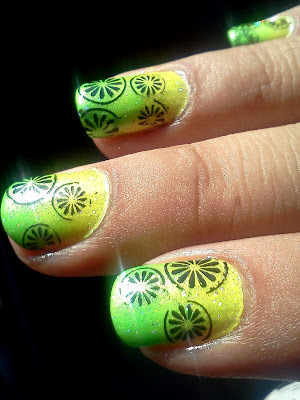 Yummi, looks delicious, makes me thing of some lovely cold drink - It's a lovely mani! So fun! 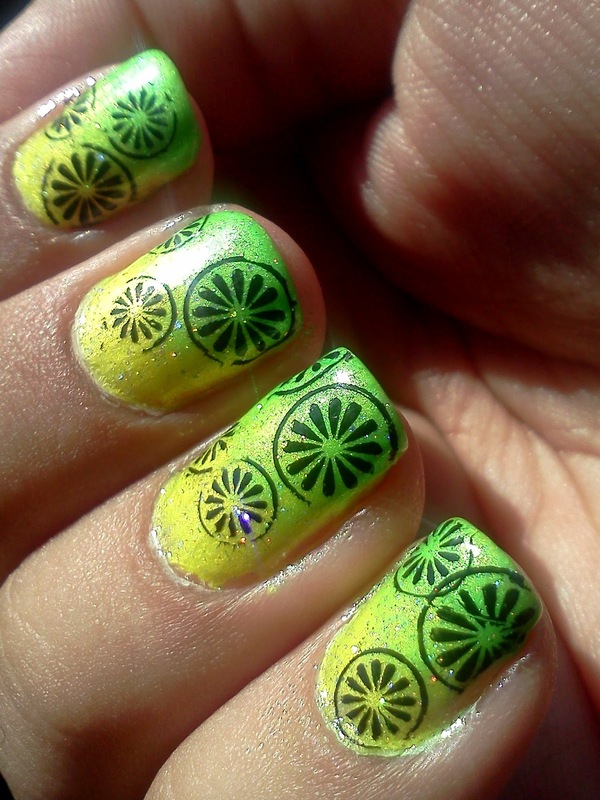 Now I want a limeade! Great gradient! 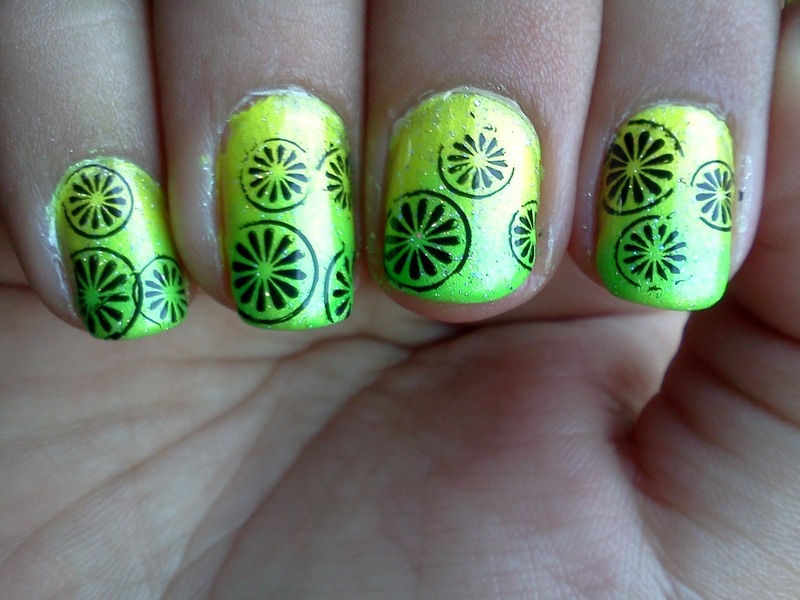 (Ha that sounds weird when you say it out loud) Those are such perfect colors for lemon/limes! This is cute! 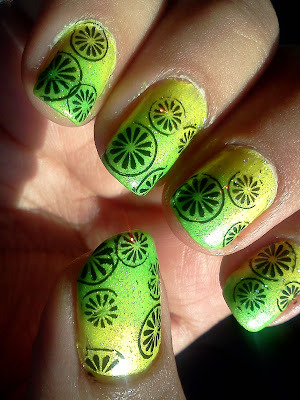 I love the gradient background! Fun mani! I really need to play with doing a gradient again. thank you :D and it definitely is! !